One of the most common and universal of pains is back pain or low backache. It can range from dull, intermittent to shooting, sharp, constant pains. Back pain could be a one-off condition or it could also turn chronic and at times debilitating. Soreness, an ache or shooting or bouts of pain in the lower back, upper back or middle region is pretty common and constant with any age group. It can happen anytime, anywhere and anyplace. Sometimes, it could be short-lived or it could be a nagging bothersome pain that is affecting your movement and daily life. Typically, back pain is accompanied by a tingling or burning sensation, rigidity, and stiffness and even feeling numb in certain areas. The pain is not just concentrated in the lower back region but it could also radiate to the legs and buttock regions. Why does back pain happen? Does it affect all? What are the many reasons back pain occurs? Well, it could be a sudden reaction or a catch to sudden unexpected movements, lifting heavy things, twisting or shifting heavy things. Additionally, age, overweight issues, a back injury, spinal issues and problems, a fall, accident, posture issues or even a slipped disk occurrence are reasons why you get back pain. There is also another more apparent and common cause for back pain these days. 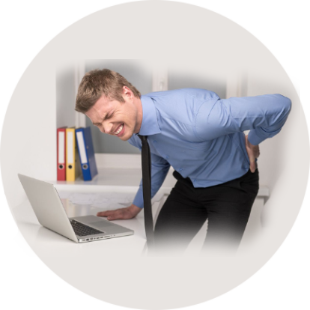 The incidence of back pain is increasing and triggered by stress, long working hours and deadlines, continued sitting for long hours, lack of movement and exercise and this typically targets the younger and middle aged working professionals. Some key back pain statistics show that over 70% people are affected by back pain at some point of their life. And it affects any age group and more so women. 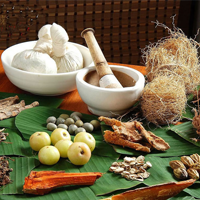 In the alternative healthcare regime, the time-honored, established and revered ‘Science of Life’, Ayurveda can be of great help. Basically, Ayurveda attributes back pain issues with an imbalance of certain physical constituents in our body and from the Ayurveda angle, the causes or reasons for back pain is the excess or a dosha of the Vata constituent in our body. 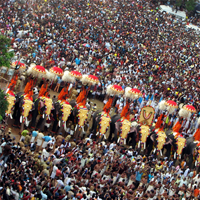 And if we address the Vata dosha, then pain also reduces. 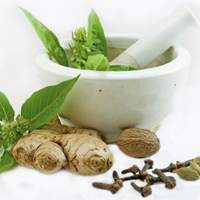 If you are seeking Ayurvedic relief for back pain or lower back pain and want to know of the many Ayurveda therapies for back pain, there are many prescribed treatments for back pain in Ayurveda. 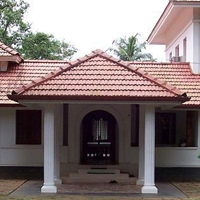 And Ayuryogashram, an Ayurvedic health resort in Thrissur Kerala also follows the prescribed Ayurvedic treatment for back pain. 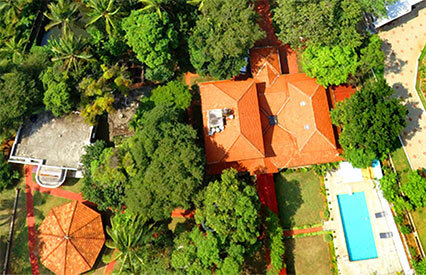 At Ayuryogashram, the beautiful, health resort nestled in a beautiful hamlet with the surrounding nature playing an inviting host, you can engage in any Ayurveda therapy for back pain, lower back pain or even spinal issues. 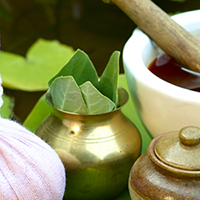 Additionally, we offer many traditional Ayurvedic therapies and treatments for other illnesses like knee pain, migraines, arthritis etc. In addition, you can find effectual answers for lifestyle diseases like obesity, diabetes and stress at our health resort. 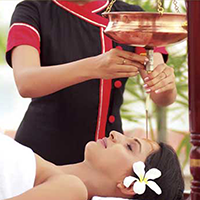 A good Abhyanga, oil massage, wherein warm, medicated oil is poured and massaged following certain techniques so as to restore blocked energies. Another Ayurvedic treatment for back pain is Swedana, is a more traditional steam therapy, wherein it is believed that steam opens pores and thus releases toxins, reduces inflammation and gradually heals the pain affected areas in the back. Different types of basti which is a type of enema will also help remove toxins from the body and restore and balance the vata dosha. Dhara is another Ayurveda therapy for back pain, wherein medicated oil, herbal infused oils, milk or liquids are steadily and continuously poured on to the forehead and this in turn has a very beneficial effect on all parts of the body including the back. 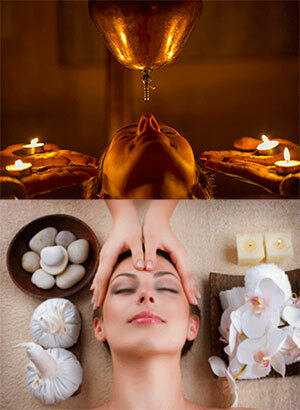 One other Ayurveda therapy for back pain is Panchakarma. 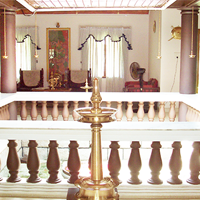 A complete panchakarma treatment that includes all stages of the Panchakarma therapy will definitely help restore the body’s metabolism, the dosha balance will be restored, one will feel rejuvenated and revitalized and the overall nervous system will definitely feel revived and invigorated and thus back pain will be a closed chapter. By engaging and following the regimented Ayurveda treatment for back pain, you can definitely experience the Ayurvedic relief for back pain. Also regular Yoga practice and exercises will also ensure that you do not suffer another bout of back pain. 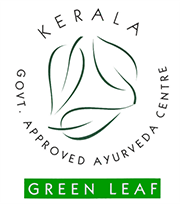 Ayuryogashram is a Government approved ayurvedic centre, functioning in a place called Parlikad in Thrissur district of Kerala since 2001. 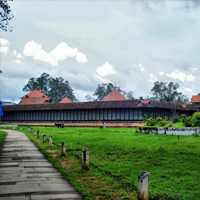 A green valley with open paddy fields on two sides of the National highway and railway and rubber plantations and small hillocks bordering it. Able to envisage the nature's beauty? 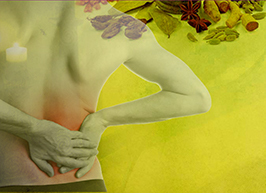 Visit us to get the best ayurvedic treatment for your back pain with the nature's delight. It is a place for you to relax from your routine work schedule. "The staff have been absolutely wonderful, as usual. they are always amiling and they really make you feel very special. The massage is fantastic. The staff in the kitchen are so service minded, you get whatever you ask for no problems. The doctors are very caring and professional. We really appreciate the familiar feeling at Ayuryogashram and the possibility to get close to the staff." "Hello, to the team at Ayuryogashram, We like to thank you all for your kind services and treatment rendered to us during our stay here. We appreciate all the friendly, smiling faces, May God Bless all you." "( What an experience!. I will always cherish the wonderful time I had at Ayuryogashram ) Thank you ! Thank You! Thank You!" "I spend a beautiful time in this Ashram. all of them were so nice with me. I will nerver forget!!. I hope to get the possibiliti to come again. I love all you !! gerda"
"I have lost 15 Kgs, All because of the treatment and food. Will be back with more people for a better healthier life. Staff were wonderful especially, Dinesh, Ramesh, Diaz, Noufir, Radha and Bindu. I also loved the walks I had with Mr. Nair although he doesn't talk."